I had many clients, in addition to age restrictions, insist on trust provisions that restrict, incentivize, or otherwise reward behaviors of their intended beneficiaries. This concept is not new, especially today, where clients believe their children or grandchildren are spoiled, will live above their means, lack motivation and basic life skills, and basically do not understand the management of wealth. This concern is shared by wealthy to modest clients alike. Moreover, there have been plenty of examples of unmotivated or non-disciplined descendants who fail to properly manage their money and the wealth created by the family is quickly dissipated. In fact, In Williams and Preisser, Preparing Heirs: Five Steps to a Successful Transition of Family Wealth and Values (2003), the authors found that “70 percent of the families studied failed to sustain wealth across generations.” Ensuring Success in Wealth Transfers, Kathleen Burns Kingsbury and James Grubman, Investments & Wealth Monitor (Sept/Oct 2010). So, can well-designed behavior inducing trusts prevent lost inheritances and provide a solution? This provision is relatively broad and gives the trustee some discretion, however, these provisions, along with may others, can often be more specific in respect to what constitutes responsibilities of adult life or at what age an education must be obtained. Moreover, these types of provisions can be inflexible and can intentionally or unintentionally favor some descendants over others. For example, employment or income related provisions can favor descendants who work full time even when the trust settlor may believe childrearing and homemaking are worthwhile pursuits. The primary danger of incentive or behavior provisions is that they often require rewarding certain behavior that the trust settlor(s) finds valuable, but which certainly is not the only valuable behavior to pursue. In some situations, this control from “beyond the grave” by the trust settlor(s) will be resented by descendants. In addition, like most who come into money, beneficiaries that are not trained in money management techniques and have already developed poor spending habits, will likely continue to make poor spending decisions regardless of trust limitations. Moreover, if the beneficiary is not also the trustee of their trust, the beneficiary will likely view trust restrictions as a final control mechanism put in place to “punish” them. So, if trust provisions restricting or rewarding behavior proves counter-productive, what can be done to facilitate the preservation and intelligent spending of wealth bestowed onto beneficiaries? Although there are no guarantees on how beneficiaries, usually one’s children, choose to spend their inheritance, preparing them early on for wealth and financial management may prove more fruitful than perceived draconian restrictions later. Counter-intuitive to most parents, who think that wealth and money matters are a taboo subject out of fear that once beneficiaries know about it, they will lose all motivation, communication about anticipated inheritance can be beneficial. “Open communication within and among generations is a cornerstone of successful generational planning. The challenge for many parents is when and how much to communicate to their children. 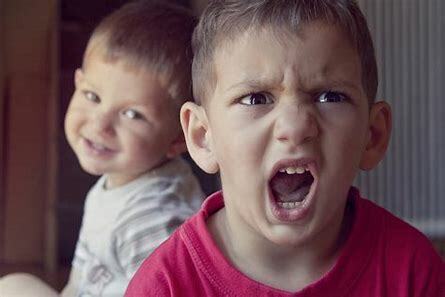 People naturally fret about how much to tell their children about their wealth, but the reality is that children formulate opinions based on lifestyle. These opinions might be highly assumptive and a lack of communication could result in future misunderstandings and challenges.” Preparing the Next Generation, CTC Consulting (Oct. 2011). Thus, preparing beneficiaries by openly communicating about what they may expect to receive and educating them on financial matters, can take away a lot of the misplaced assumptions and remove some of the mystery of what they plan to spend their inheritance on. One may find that after such communication and education, trust restrictions or attempts to control behavior are no longer necessary.